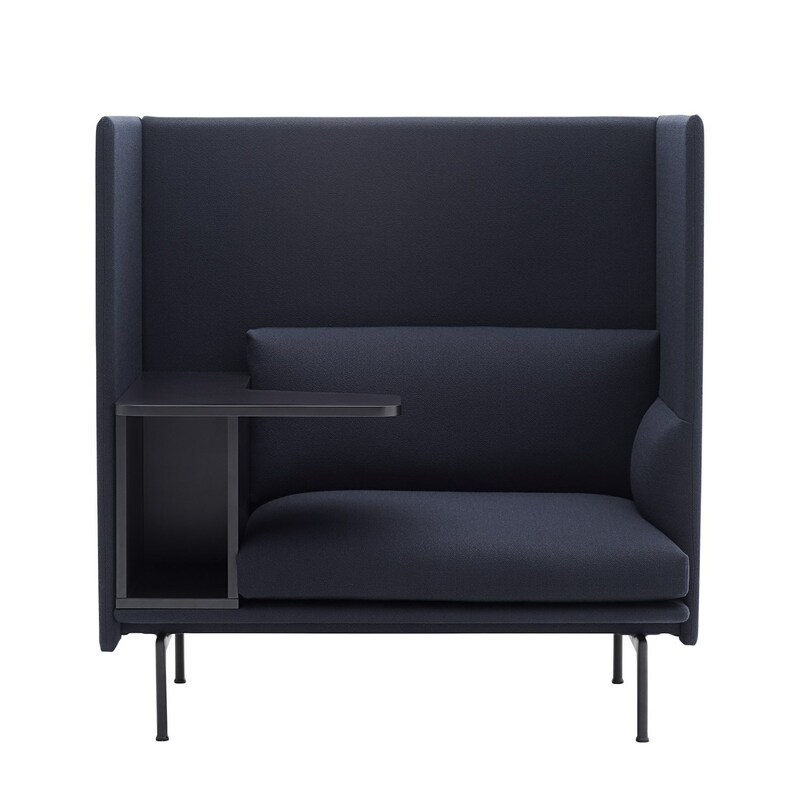 The Outline Highback Work lounge chair can be customized with a range of fabrics and leathers. We have at your disposal a large collection of samples, which we can send you free of charge, against deposit. Do not hesitate to contact us to help you in your choices. 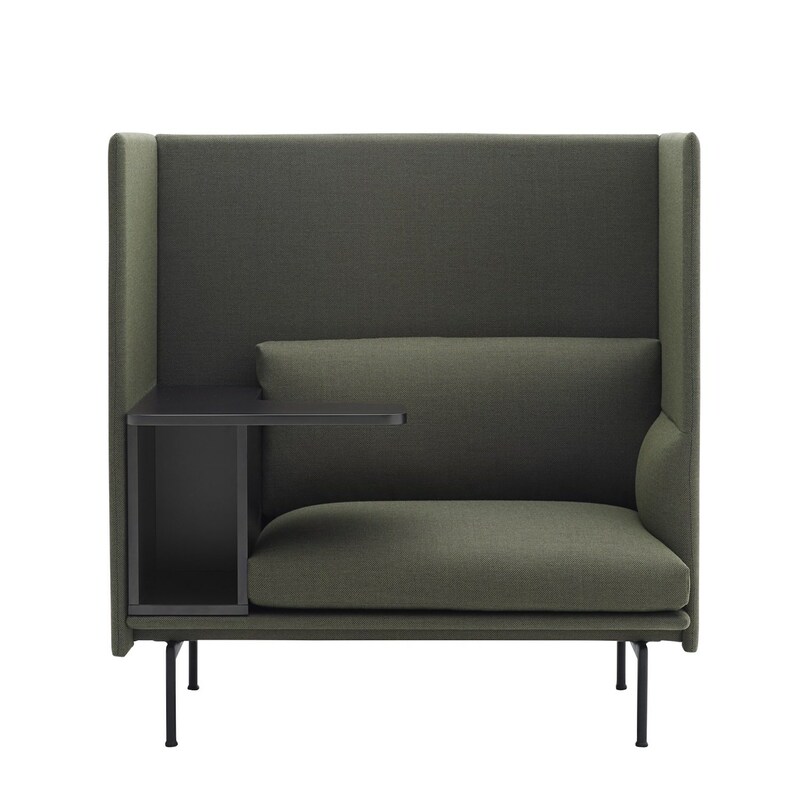 The Outline Highback Work lounge chair completes the eponymous Outline Highback series. 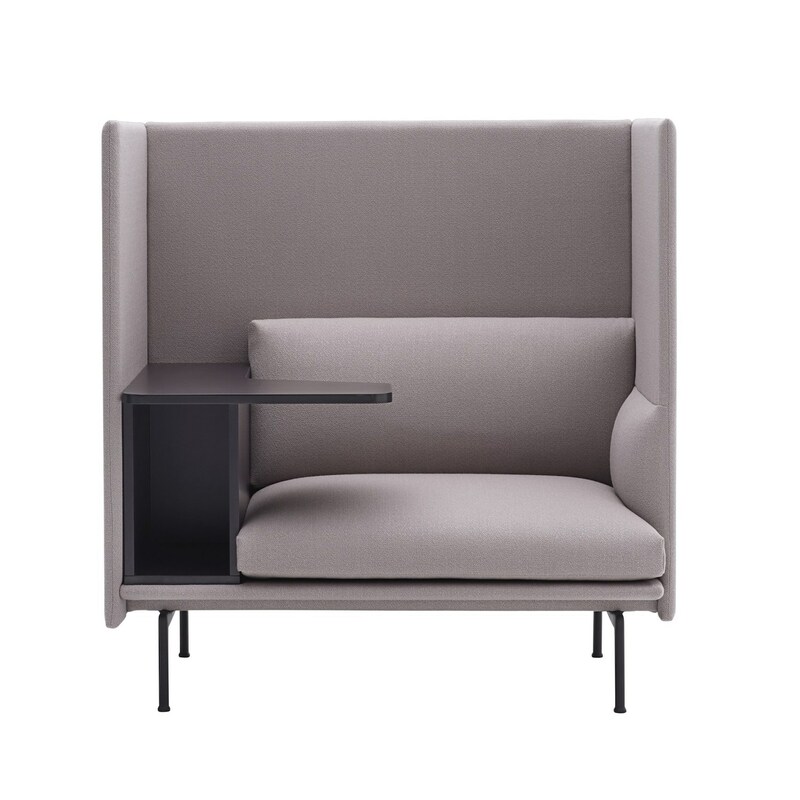 The Outline Highback Work is a perfect asset for workplace areas as it is endowed with a functional table unit and a storage space, placed either on the left or the right, which allows one to work while enjoying a comfortable seating. 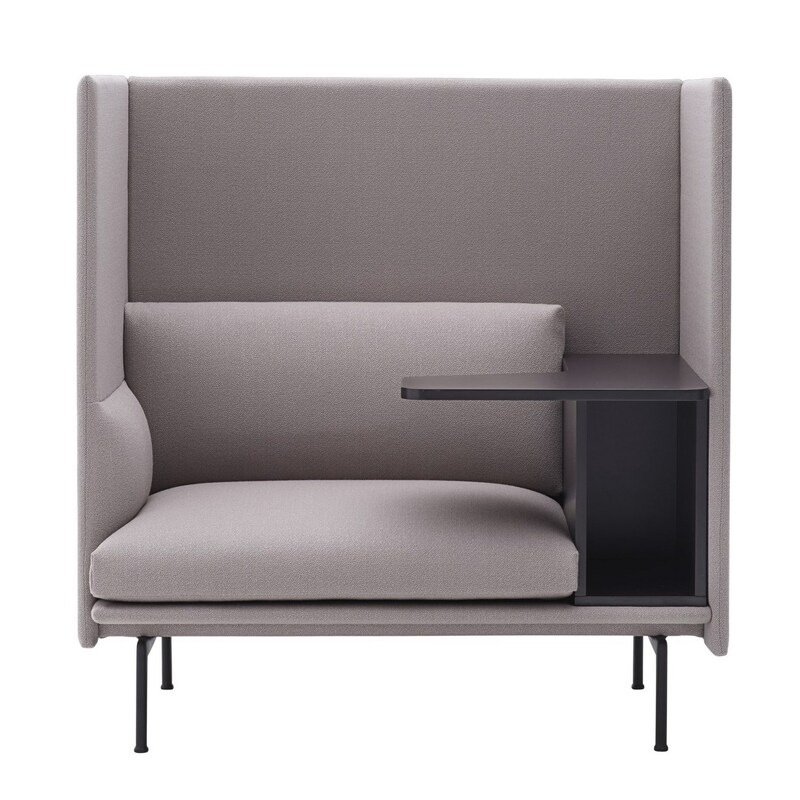 However, the lounge chair can easily fit into large halls or other great open spaces as well, where quiet and intimacy are sometimes hard to find. 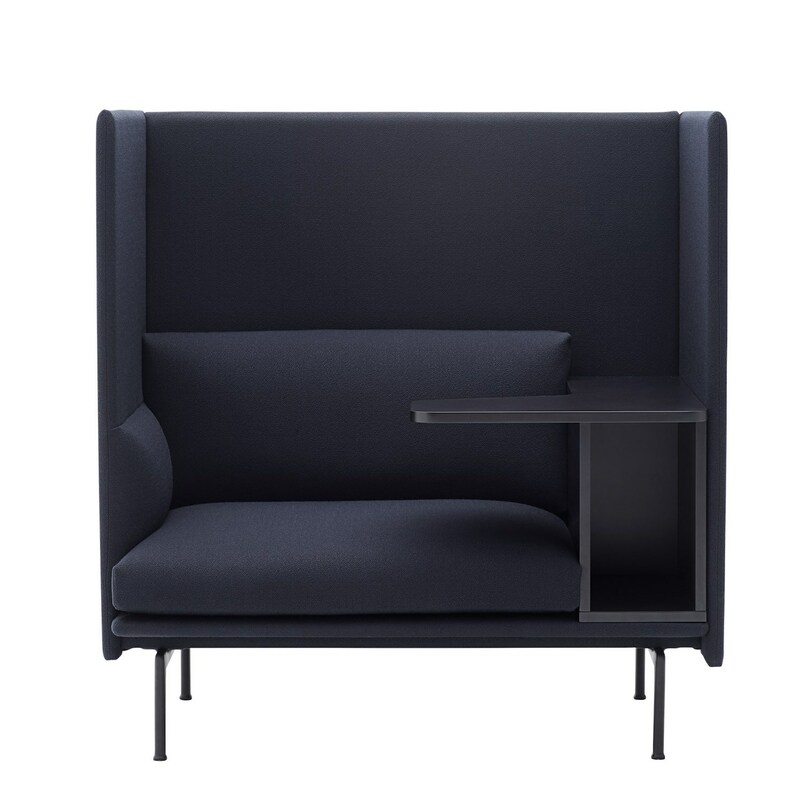 Outline Highback Work shares with the Outline Highback series the architectural and envelopping structure that offers great visual and acoustic shelter for its user. 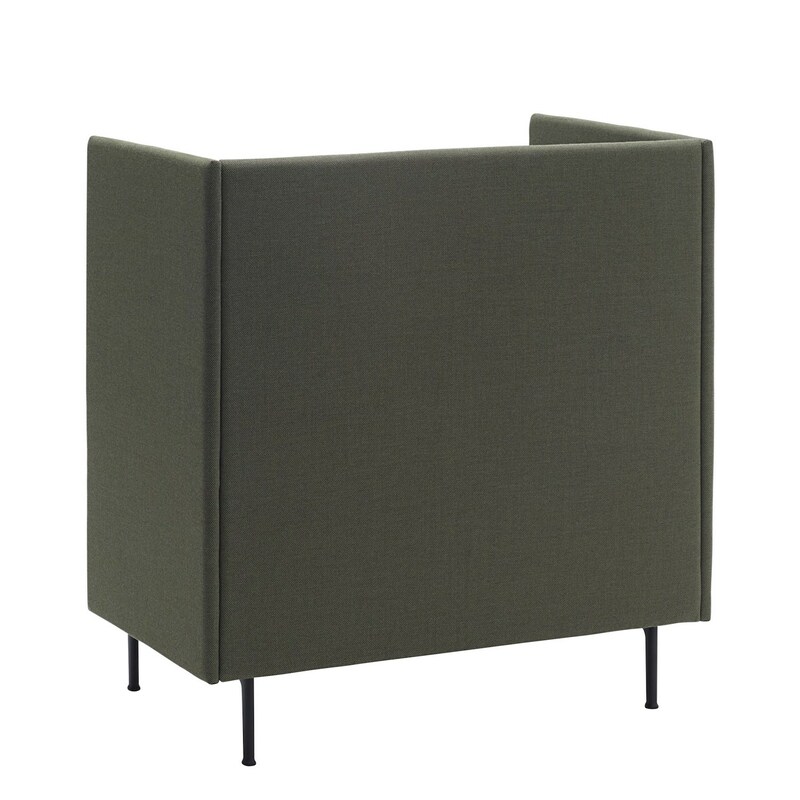 Materials powder coated aluminium legs – plywood and steel upholstered with foam – cushion filled with granulated foam. Table unit – dyed MDF board with matte lacquer.